I love helping people achieve their dreams of playing this magnificent instrument! I been playing harp for over 23 years and teaching harp for over 15 years. Whether you want to play pedal (orchestral) harp or lever (folk/Celtic) harp, I can help you develop basic technique, music reading, rhythm, and find music you want to play. 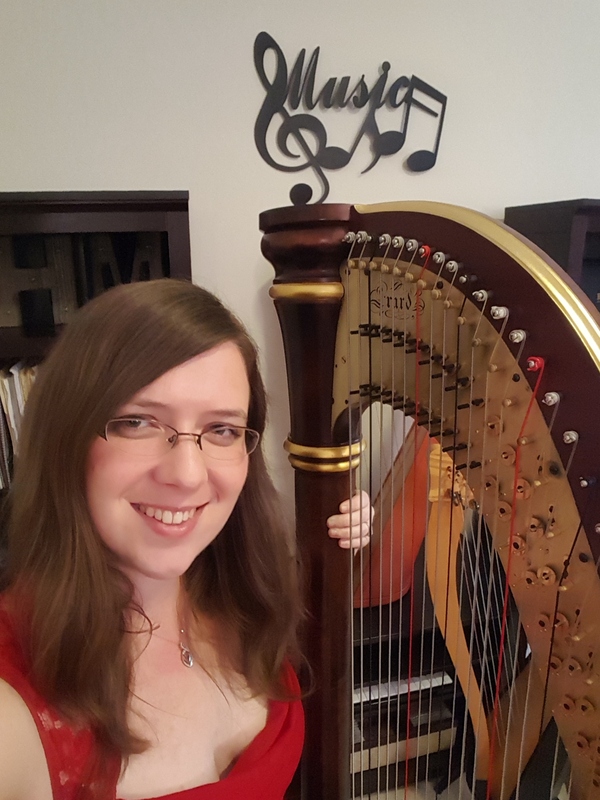 It is important to me that all my students study the type of music they like, and I specialize in popular hits, sacred music, and Celtic pieces, but also play and teach lots of classical harp repertoire. With a Masters degree in education, I work hard to meet each student's unique learning style and speed and find creative ways to overcome challenges. Whether you are 5 or 85 years old, I can help you play the harp. I teach in my home studio near downtown Houston as well as in several schools on the west side of Houston and online through Zoom. Contact me for more information.